Pure, organic and have more fruit per glass. 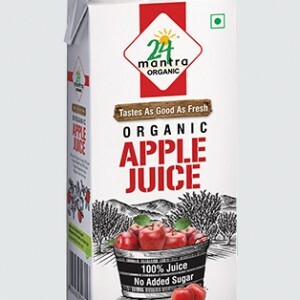 Our organic juice is just what Nature ordered. 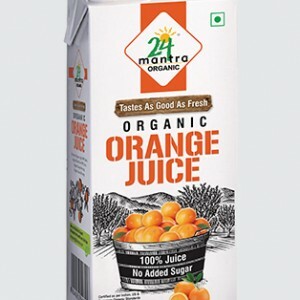 It is pure, natural and free of pesticides & chemicals. We make this happen in a careful and organized manner. First, we choose the area with the most suitable climate for the particular fruit. Then, farmers who share similar values and have a certified organic farm. 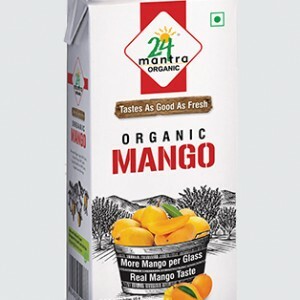 Nature, farmer’s adherence to well laid out organic guidelines – together make the fruit pure, succulent and organic. 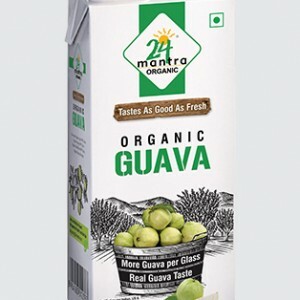 No artificial ripening or hastening of the processes, best practices of storage and processing reaffirm 24 Mantra’s commitment to all qualities organic. 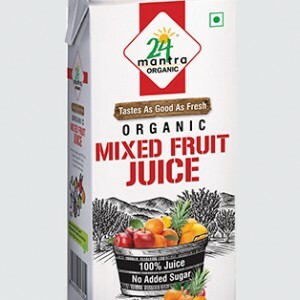 Enjoy Organic Orange Juice, Organic Mixed Fruit Juice, Organic Apple Juice and Organic Mango.